Yesterday (June 15), was Elder Abuse Prevention Day. Did you know that every year, an estimated five million older Americans are victims of elder abuse, neglect, or exploitation? And experts believe that for every case of elder abuse or neglect reported, as many as 23.5 cases go unreported. Elder abuse is the intentional, unintentional or negligent act by a caregiver or any other person that causes harm or a serious risk of harm to an older adult. It can occur anywhere – in the home, in nursing homes, or other institutions. It affects seniors across all socio-economic groups, cultures, and races. A high profile case of financial exploitation of a vulnerable adult prosecuted by the Hennepin County Attorney’s Office was against former Maple Grove Council member Leann Sargent. She pleaded guilty to the felony of stealing from her elderly father. Earlier this month, she was given a tougher sentence after prosecutors appealed the first one. She will be on probation for five years, will not be allowed to hold power of attorney, not be in position of financial responsibility in any paid or volunteer job and pay more than $120,000 in restitution. You can help protect your loved ones by educating yourself and others about elder abuse. Like our Facebook page and share the post about 12 things you can do to keep seniors safe. Together, we can stand united and shine a light on this often overlooked issue. National Night Out, Tuesday, August 4, is an annual event that encourages residents to hold block parties and get to know their neighbors as a way to encourage crime prevention. 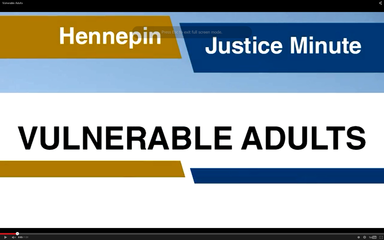 Each year, the Hennepin County Attorney’s Office visits more than 100 community gathering. Prosecutors, victim advocates and other staff members are available to answer your questions about the justice system and provide crime prevention information regarding how you can protect your family and your property. If you are interested in hosting a block party, visit www.natw.org to sign up and get more information. If you are hosting a block party and would like someone from the County Attorney’s Office to visit, please contact Jean Heyer: jean.heyer@hennepin.us. 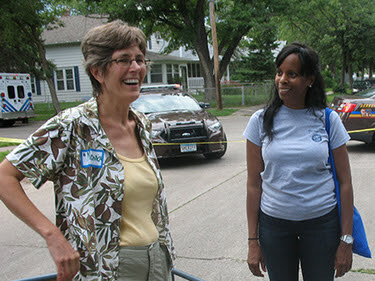 National Night Out is a great opportunity to promote community-police partnerships and enjoy a Minnesota summer evening surrounded by friends and family. Brian Deshawn Morse, 22, of Chicago, pleaded guilty to two counts of second-degree, intentional murder in the April shooting of two men sitting in their car. According to the criminal complaint, Morse shot Odell Frazier, 47, and Eddie Pelmore, 56, both of Minneapolis, as they sat in Frazier’s car near 4530 Penn Avenue North on April 8. Pelmore was intending to sell marijuana to Morse. Morse shot both men multiple times and was then chased on foot by a Minneapolis police officer.